Keep cool with clean air at your house. We sell, install and maintain air-conditioning units and systems, to keep your castle comfortable in summer. Energy efficient equipment with personal climate control. Bedrooms and living spaces. Free Quotes. 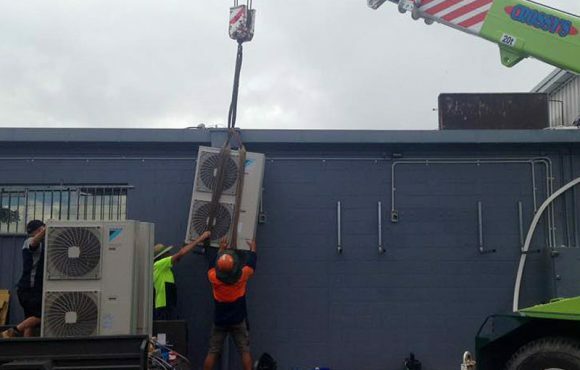 Commercial air-conditioning is critical in Cairns, for people and plant. We design, install and maintain systems of all sizes and applications. Cassette units, ducted systems, variable refrigerant volume (VRV) multi systems, medical applications and more. 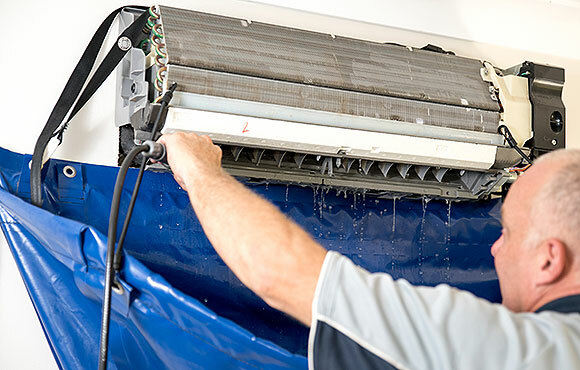 Regular air-conditioning cleaning ensures you, your family, customers and guests are breathing clean air. 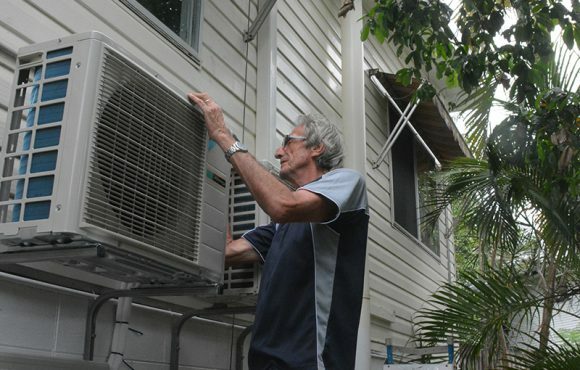 You’d be surprised at how much bacteria and mould can accumulate in a year, in the tropics. Our cleans are chemical and toxin free. Design, supply, install and maintain refrigeration units for all sizes and capacities. We’ve got Refrigeration, Air Conditioning and Mechanical Services license, including Unlimited Design. Cold and freezer rooms, under bar cabinets, display units and more. 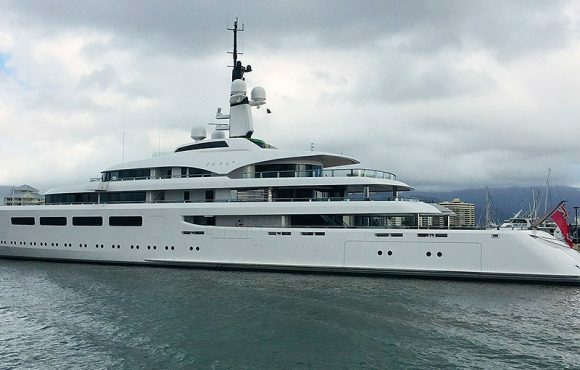 Our team is at the forefront of advanced marine refrigeration and air-conditioning systems. From recreational to commercial and industrial boats and marine vessels, we’ve got it covered. Design, install and maintain. 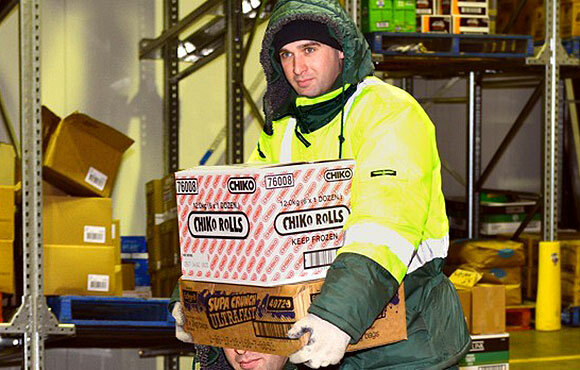 Commitment to excellence and reliability. Experienced refrigeration mechanics and engineers skilled in the installation of Mechanical HVAC systems and Building Automation. We partner with leading brands and products to deliver superior energy efficient solutions for your needs. 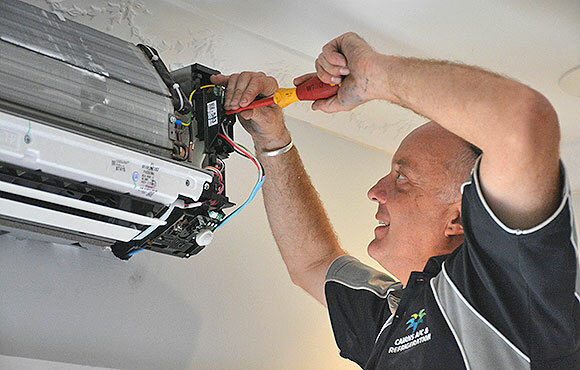 "We had this awesome team over this morning for a pre-summer health check of all our air conditioners. Hard as this may be to fathom for some people, but they were actually on time, friendly, super professional, cleaned up after themselves and no hidden extras or costs involved?!?! Go figure?!? Great service at a great price does actually still exist "
"Service over and above. Qualified, prompt and very friendly staff. I rang Jo because our lounge room air con was not working and it had an error code. Jo contacted the manufacturer directly with the details and arranged all the warranty formalities for me. So, so pleased, thanks Jo and Jace." "Very satisfied with the service I received from Jo and Jace. They responded to my messages promptly, booked my job in within a very reasonable timeframe and completed the job without a hitch. 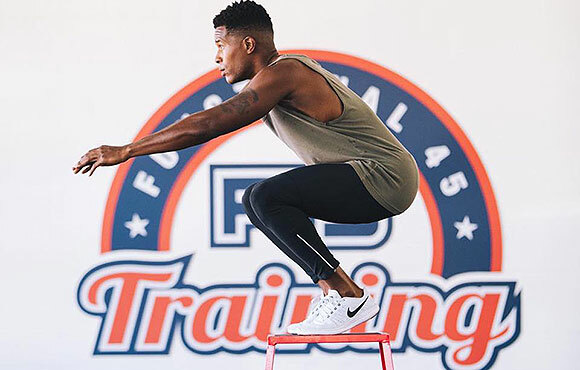 A very professional small business and one I would highly recommend." "A local business who truly cares about their customers and offers a fabulous service for looking after your air conditioners. No job too big or small." "Quick, professional and friendly service by Jace. We originally thought 4 of our split systems would need to be cleaned, but it turned out only 1 needed a proper clean. He could have easily cleaned all 4 unnecessarily, however, he was honest and did what was needed. Really appreciate the honesty. The house smells great from the clean aircons!" 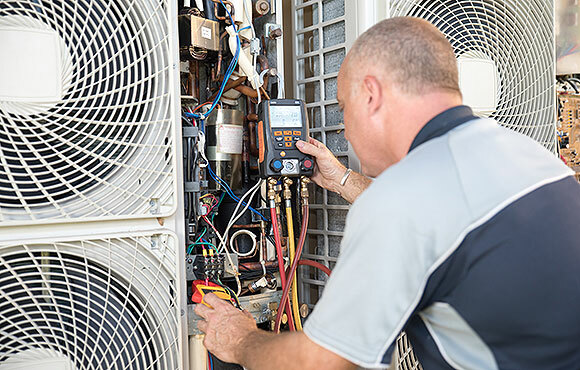 Cairns A/C & Refrigeration are committed to providing residential, commercial and industrial customers with superior workmanship, customer service, products and performance for all their air-conditioning and refrigeration requirements. 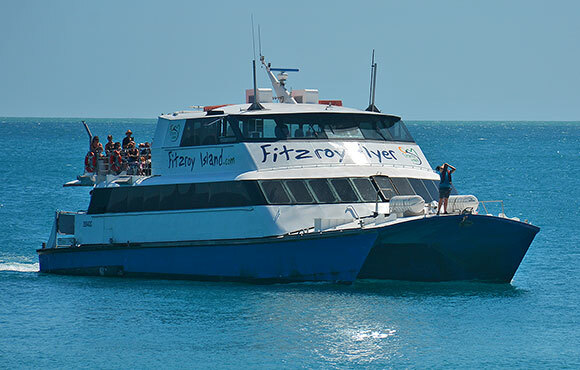 No project is too big or small and we service the entire Cairns city and surrounding regions, from Palm Cove to Gordonvale, the Tablelands and beyond. Our focus is on energy efficient solutions for your cooling needs, that perform sustainably and reliably. We design systems, sell products and install and maintain. We even provide a 24/7 emergency repair service for all refrigeration and cooling systems.